In the world of platformers, the N series has always been among the best of them, staying true to a minimal design with gameplay at the forefront. Developer Metanet Software have found an incredible balance between simplicity and complexity that is hard to match. 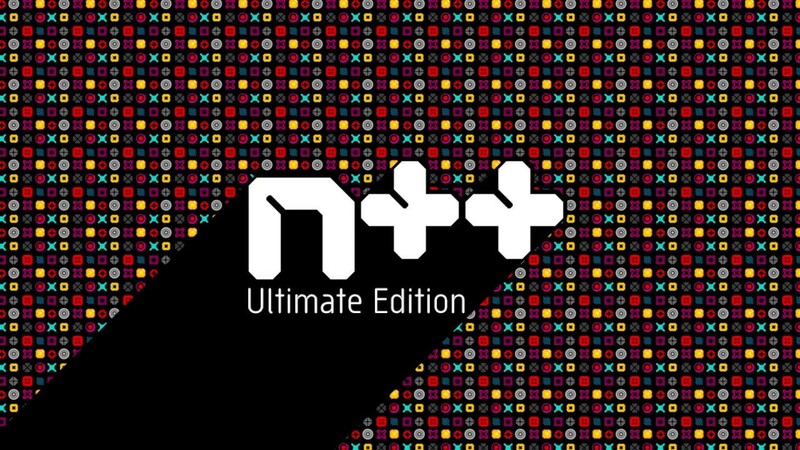 N++ originally released back in 2015 on the PS4 when I initially played it, but with N++ Ultimate Edition for the Nintendo Switch, they have perfected the formula with new enemies and revamped graphics. At N++’s core, the gameplay showcases physics-based platforming for you to overcome some of the hardest platforming levels you’ll ever see. From the wall jumps, to the slides, and even to the rag-doll physics, N++ is a masterclass in pure gaming design. When presented with a level, you will immediately know that it’s possible to complete with only the fundamentals at your disposal. Your main goal for each stage is to try and defeat the five levels in under 90 seconds. To do this you’ll have to run, jump and use momentum to your advantage in order to successfully navigate the increasingly difficult stages. There are leaderboards that every speed running enthusiast will try to climb and perfect. Gold pieces are scattered throughout many of the stages and these add two second bonuses to your time limit and collecting all of them add another incentive to try and accomplish. Your speed is momentum based and learning how to get from one point to another without losing your momentum is the focal point of the N++ experience. The gameplay mechanics are simple, but also very deep, such as when learning to use floating platforms to launch yourself higher with each upward thrust. Knowing when to lightly press the jump button and when to hold it are crucial for safely navigating the later stages. The main gameplay changes come from the new enemies and obstacles with some of these changing the experience entirely. The ghost ninja and the homing droid are the most notable of the new enemies and make it essential for you to anticipate your steps as your ghost ninja is following behind you. Going for the gold in every stage provides AN incentive to return to previous levels and this gold oftentimes leads to additional hazards, such as the homing missiles that make the level that much more difficult. With the new risk versus reward mentality, you can either go for a higher score or try to complete the level in the fastest time possible. This creates tons of replayability as many of the levels have a much harder version to complete. Going for these harder choices will cause you to die a lot, but death is not a punishment. If you ever want to restart, pressing the Y button will have your character commit suicide and can quickly get right back into the stage by pressing the A button. N++ is minimal in every aspect of the game and it’s in this simplicity that N++ truly shines. From the strong color tones, to sharp edges, N++ wants you to focus on the obstacles ahead of you and not the scenery. Now, this doesn’t mean that the game is not beautiful because it absolutely is and with an incredible amount of different color schemes to choose from, it can really change how the game looks entirely. However, in some cases the color change can be somewhat confusing, changing the gold into a reddish color and thinking that its a mine instead. Multiplayer has always been my favorite aspect of N++ and the Ultimate Edition takes what it did and ramps it up to eleven offering up to three different types of levels that up to four players can join in. The main Solo mode can also be played completely in two-player co-op with levels specially designed for two players. Race mode has been revamped in this version to be much faster paced and racing against your friends provides a fun bit of chaos across the screen. I wish there were more levels focused on four-player co-op and there is no online mode, but what is already here in terms of multiplayer is fantastic and loads of fun. There are two features that will help future-proof N++ down the road for Switch. Create mode gives you the ability to craft your own unique stages and the amount of options will provide content creators a great tapestry for challenging gamers. Unfortunately, the servers weren’t online for community creations as of the time of this review, but there’s bound to be a plethora of outstanding new levels vetted by the developer when the time comes. Overall, N++ delivers in providing one of the richest platforming experiences on the Switch. The lack of online play and no created content is only a small damper on what is otherwise a fantastic gameplay experience. N++ has shown us that sometimes minimal is best and no one should miss out on this title.